Use the data below to identify your tractor. The production number of the tractor. Maybe you need a bit more Ford expertise. Try the Ford and Fordson Association. Sorry I cannot be of more help. Your Ford serial number info is veryeasy to follow. However, along with a number of other experts it fails to aknowledge that this series was also built in 1975. I have a Force 3000 numbered 5A09B, thus January 9th. 1975 on the day shift. The serial number is B948007. Is this one of the last? Thanks for adding your tractor’s serial number, giving some additional information about serial numbers and informing us about the continuation of the building of these tractors into 1975. Presumably you know that your serial number (B948007) is one of the higher numbers and thus it is a 1975 machine. 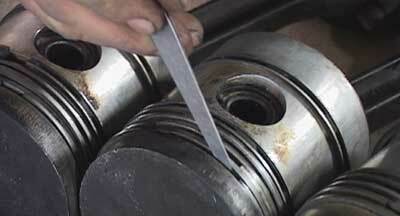 Do you know if there is any distinction between 1965 and 1975 in the ‘5′ of 5A09B ? There does not appear to be any distinction. Perhaps they meant to stop in 1974 but forgot to turn the tap off! help can any one tell me where chassis no is on ford 4000 it has a cab thanks. greg.. I have a Ford Tractor with motor problems the serial number is C5NN605 with D5k14 under that. The transmission number is C5NN7006AA. Can you tell me year and model of this tractor so I can order parts and a Manual. Thank you for your help. My stepson and I just purchased a used Ford 5000 and from the model number I believe it was produced in 1969 (E1014C, 9L03B, C254448). Does the serial number seem to be in the correct range for a 1969 5000? This gentleman has a June 1969 USA built 5000 with a serial number of C241358, so your serial number fits in with the November 1969 date for your tractor. Can you tell me what LCG stands for? I’m working on a 1969 4000, LCG, gas, live 540 pto, 8 speed and can’t figure out what it is. tractors were numbered 4110 and most of them were used for amenities work for city councils or golf courses where mowing work was to be done on steep bank sides, so many of the tractors were on turf tyres. Will a loader off of a 5000 fit a ‘69 2000? The serial number is the final part (b887202). I have a Air Force Tow Tractor with the military production date of June 1975 that is a model 2000 I believe. I want to sell this running driving unit and will be usung your site to further identify the unit. Thanks for being here as what I know about tractors is not much. My Tractor shws 5D 2 B then below is C461906 followed by a star. Anyone?? Can anyone tell me the month/year of manufacture? Can you help with the query on the model number and advise year of manufacture? I have a Ford 4000 model #D1414C, serial C383642, production code 3F05. None of the tables listing chassis information I have been able to find include 14 as a chassis style. What does the 14 mean? The only code in there which may correspond is the first one that may be the Production Code ? I was told today that there once was a Ford Factory building tractors in Anvers (Belgium) that does no longer exists. I also found another person who has a serial number begginning with a “A103 …” identified as the serial number on his Ford 2000 registration document. And amazingly, this person lives in… belgium ! I guess the machines build in this factory weren’t marked the same way as the US or GB machines ? C means the 60’s decade and 7 is the year. Does anyone have any info / pictures etc of a Ford 3000 Highway spec? I have bought one but cannot find any information on them, what grills they had in, tyres they were supplied with, hitches on the rear etc etc. Can any one help? I recently purchased a CD from eBay that has all the parts and numbers as well as pictures of the 2000-7000 Fords. After a trip to the Ford dealer this past weekend, I found that at least the numbers Ichecked were the actual part numbers. So my question is: How do I tell if I have a 4000, a 4100, 4110, etc.? Question 29: possibly the brochure at http://www.springfieldbiz.com/oaktree/ford3000.html will help you. I believe that means it is a 2000 model all purpose diesel live 540 PTO 8 speed transmission and was made in the USA on July 13 1973. I have been unable to locate a picture of this particular tractor. When we bought this used tractor we were told it was about a 1980-82 model. A picture would be a big help. If you just go to Google and then click on ‘Images’ at the top left hand of the screen. Then search Google Images for ‘Ford 2000′ and you will get lots of pictures to view. I just bought a ford 3000 tractor, or at least is what is on the tank cover. what model is this? it is just too short. I have a ford tractor but the numbers do not match up to anything. If anyone can figure this out it would be a great help. numbers are as following. first line6C2C., middle Su3000d206. last is A132-805. I cant order any parts for it until i find it out. its a ford2000, 3 cylinder diesel. I am trying to find out what I have I thing its a 79 Ford 334 no sure, could someone help. can anyone tell me what the building year of this tractor is? Hi guys Any info on my model number would be appreciated – i am in Australia. The tractor is a Ford 3000 Diesel. Serial number – 1st Line D 2 NN 7008 A , 2nd Line 2 (WP) 18 : 2 75 – no third line. My tractors exhaust outlet is not on top of the tractor but underneath same fashion as a car. Sir, my 3000 has a B manufacturer code. The numbers for when it was produced is may 16 1974. 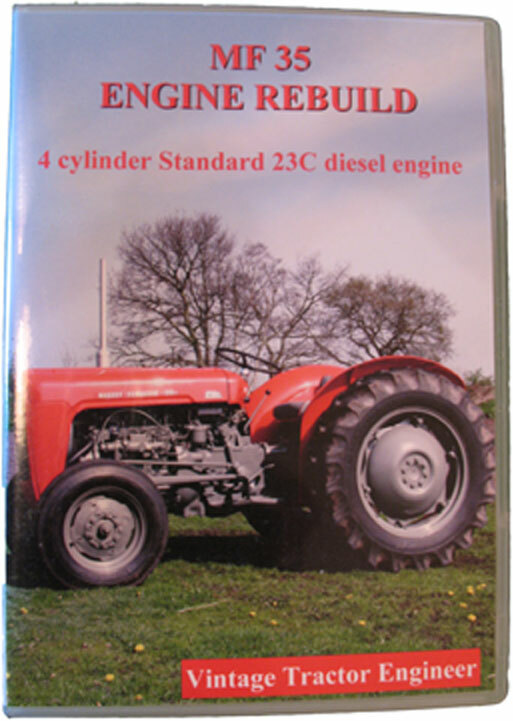 Are there production numbers for English made tractors to confirm that it is actually a 74? I am not sure what the 1414 stands for, I did not see a 14 on the list. I believe the C on the end means 8 speed. My tractor is an 8 speed. Can anyone help me with what the 1414 means? number is the serial number. 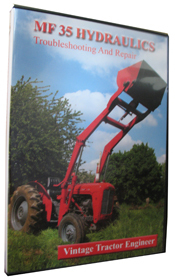 The Vintage Tractor Engineer was recently asked how to date a Roadless tractor (Ford based conversion by the Roadless Tractor Company). Any ford based components such as the engine or castings (not roadless specific castings) will have the same information as the Ford tractors that they are based on. I have what I believe is a 2000 series tractor with this information that I could not make happen. B1022B, 0E21B, C273002. I suppose it is a 2000 series, farm tractor, gas with a PTO.The tractor was made in the US and the serial number. Can someone enlighten a novice? Please help me, Sir or Madam. I’m a new owner of an old tractor. It looks to be a Ford 5000. It has 8 speeds, hi/low. I could send you a picture if you’d share an email address. I’m so excited about restoring it but don’t even know where to start. My Ford 2000 has the motornumber C5NN6015. Can you explain to me what year it is bult? 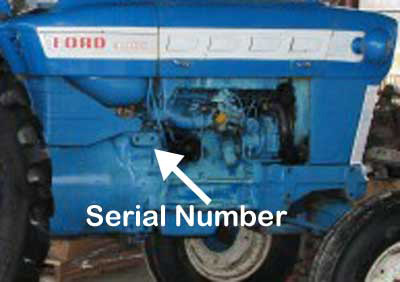 I used the generally accepted identifying data to identify my Ford 2000 tractor. The Model# is B1022B. I gather that is; Model: Code B = 2000, Chassis: Code 10 = Agricultural, Fuel: Code 2 = Petrol/Gas, PTO: Code 2 = 540 PTO Single Clutch, Transmission: Code B = (No Listing for B Code ? ? ), why no listing for B? My Production Unit code is 3E30B. I came up with; Year: Code 3 = 1973, Month: Code E = May, Day of Month: Code 30 = May 30th, Shift: Code B = Day shift. It’s Serial# is C383298. Letter at beginning of serial number listed as, Where Built: Code C = USA, Number in Serial#: Production# listed = 383298. Why is there no listing for the Transmission Code B? Is this a miss stamping, as the transmission has 4 forward and reverse gears with high and low range and I would believe the stamping s/hb a C ? Is that correct? I am not sure what tractor I have, it was sold to me as a 3000, but the serial numbers do not match to what is suggested. I have the same type serial number as Justin is showing. My serial number is: A201335. Does this mean it was made in Antwerp Belgium? My dealer told me that this Ford 4100 tractor is a 1980 model, but it has a generator instead of an alternator, 3 cylinder deisel. Any help on identifying or confirming these numbers on this tractor would be a great help! I used your info to identify my Ford 4000. My model # is D1014C. I gather that is a D=4000 10=Ag. All Purpose 1=Diesel 4=Independent 540 PTO and C=8 Speed Trans. My Production code is 3L16B. I came up with a 3=1973 L=November 16=day of month and B=Dayshift. Here is where it gets confusing. All sites including yours show a serial number of C=USA or B=Basildon, England. My serial # is as follows *A253505*. I have a picture. What does this mean? I am rewiring a 1969 Ford 5000 Diesel (E1014E, 9023B, C235303) for a local farmer. I need a wiring diagram that gives wire colors (more detailed than the one I found online). Do not have a service or shop manual. I just need to rewire (have new harnesses), old harness smoked! Can any one help me? I have a ford tractor with the Model # of DS3540 and a tractor number of C680106 I am trying to get filters and such for it and our local dealer has no clue on what it is. i have a ford 2000 tractor i am trying to get it running the timing is off. does any one know what the timing is suppose to be set at? any info would be helpful.i am also replacing the carburator, it has one for a 3000 model on it. Hi: I have a Ford 4000 and the numbers that are stamped just rear of the starter and above the implement mounting holes dont make a lot of sense to me, there seems to be some missing and hoped someone here could help. Here are the numbers top to bottom. I just purchased a Ford 3000 and was able to locate the numbers just where everyone said they would be. The only problem is my numbers don’t make any sense. First line is “6B7C”, second line is “B086, third line is A127-517. These codes don’t agree with your info, any ideas?